On Saturday 10 December the group marked Human Rights Day. Group members Guy and Tilly threw open their home near the Cutty Sark to members of the public to join us for tea, cake and to participate in our Write for Rights campaign. There were over 100 actions cards signed and almost £200 raised to support human rights. Thanks to all that volunteered their time and effort to make this event a success and to all those that join us. 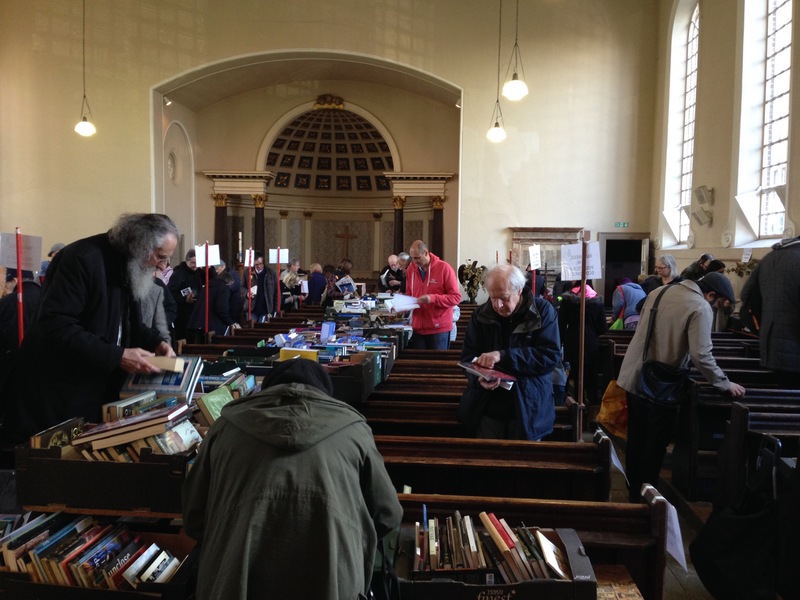 Our November book sale was a huge success raising £4790.33 which was around 50% higher than last year. Of that our refreshments made £190 breaking all previous records there. Importantly we got 200 actions taken on cases involving Nazanin Zaghari-Ratcliffe and Leonard Peltier. We’d like to thank all volunteers and attendees for their support. And we look forward to seeing you in June for the next one. It’s our group meeting tonight from 7.30pm at Crypt of St Margaret’s, Brandram Road/Belmont Hill – with festive refreshments, Write for Rights and campaigns updates. All welcome. Access via ramp or steps at side of church.